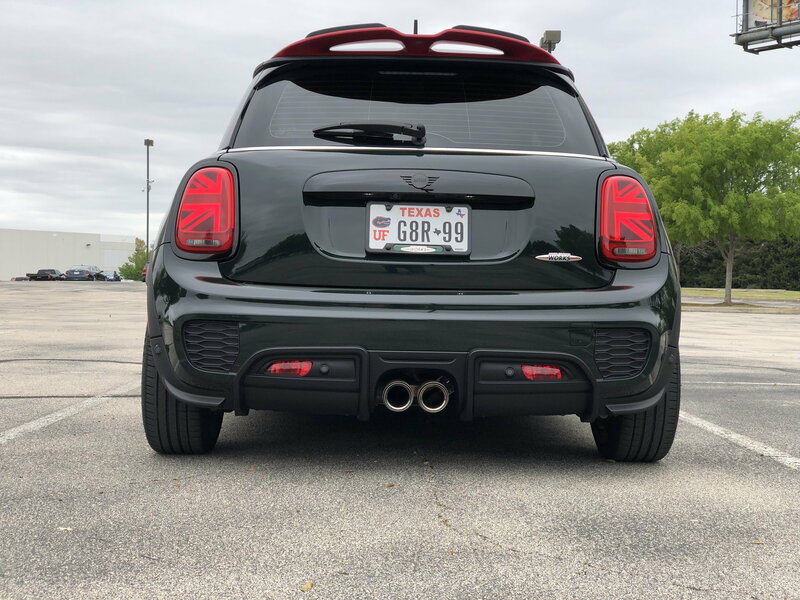 So on the 2019 F56's are the hood/tailgate emblems stick on or stick/bolt on? I was going to black them out, but now I'm thinking of removing them completely. Just don't want to remove them and find out there's two holes underneath them. No that totally helps, thank you. They have little alignment pins on the back dependant on what model you have. On the front, i think no pins, on the back there are pins. To remove the old ones a hair dryer (heat it up) and floss works great. Last edited by ECSTuning; 04-17-2019 at 01:18 PM. Awesome as usual, I couldn't find them anywhere but overseas. I'll be placing my order soon. 2019 F56 front emblem has pins. I had to pull mine off to add stripes a few weeks ago. I actually ordered the black LCI badges a few days ago for my '15 and they should be here Saturday. Does anyone have the part number or a listing for the boot handle? I've been told due to being different the LCI badge won't fit on the pre-LCI boot handle but I can't seem to find it. It is hard to tell. So my SO has a 2019 convertible and I have a 2015 Hardtop, and I actually just measured them. They are exactly the same length and height. The only concern there is for me is that the new boot handle is flat, while the pre-lci has a recessed around the badges. As a note, I have already replaced the front, and it had two position holes in it. It will have to be filled if you want to remove it. El-Grunto, my expectation is that you will not need the updated boot handle, as I am certain it will fit correctly. With that being said, let me know how the rear goes. As I am planning to pick it up soon. They are stick with pins, front and back. I put LCI ones on my '15. The rear latch on the LCI does not have the indent. Outmotoring has black cover kit that you stick on over logos. They also give you a choice of color surrounds (vinyl) for the MINI circle. 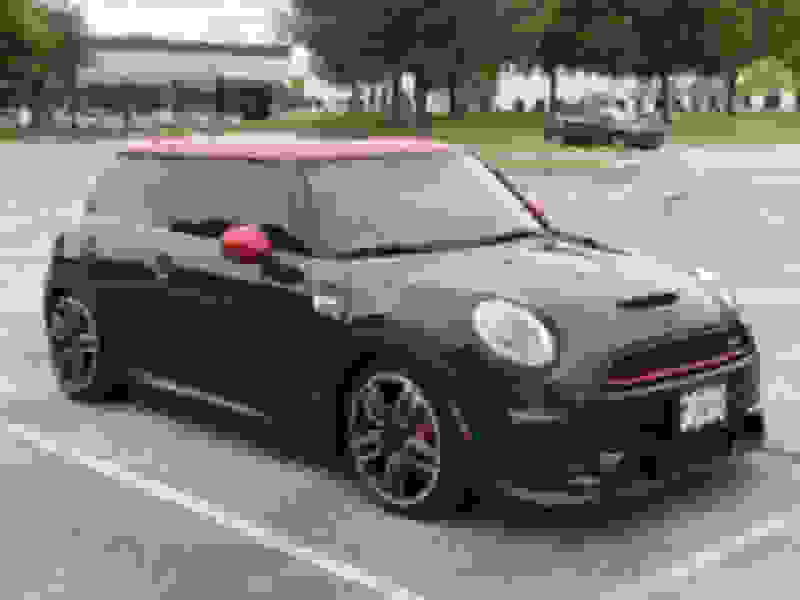 I have a pre LCI handle and the New Blackline Genuine MINI Badges, i can check. So it works and sets down and follows the curve on the trunk grip handle. The badge has a curve also. Its sets a little higher in the stock location of the old Chrome badge, But still aligned in that indent. Sets flat to it and position is a tad higher, maybe a millimeter or so. Badges are the same size, i think the alignment pins on the back just set more towards the middle on black (post LCI version.. If you are really picky on alignment you could just notch or remove the back pins and realign it. Yup. Mine just came in the mail today. Both the LCI front and the back are adhesive with alignment pins. The part number for the rear trunk lid grip in black with reversing camera is: 51137489756. 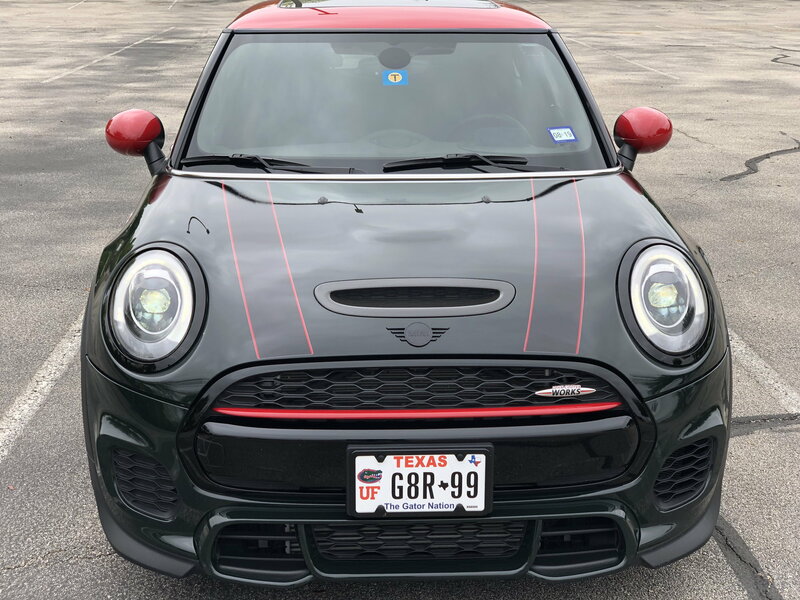 I bought the 2 black emblems and the grip and fitted them to my 2016 JCW. I think it looks great. The emblems have aligning pins and adhesive. That’s a great looking JCW.....except for the red roof & mirrors it’s just like mine. I like he black trim pieces & the rear deflector with deflectors as well as the front deflectors. I wouldn’t change a thing! 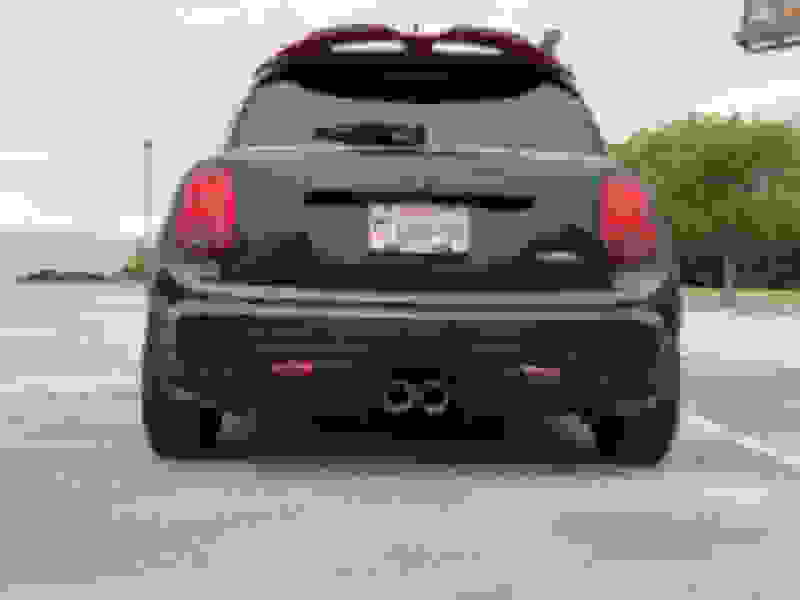 Had my MINI emblems blacked out, should i remove "cooperS and JCW emblems? anyone stick a Shorrock under the hood? Quick Reply: Hood/Tailgate emblems stick on?